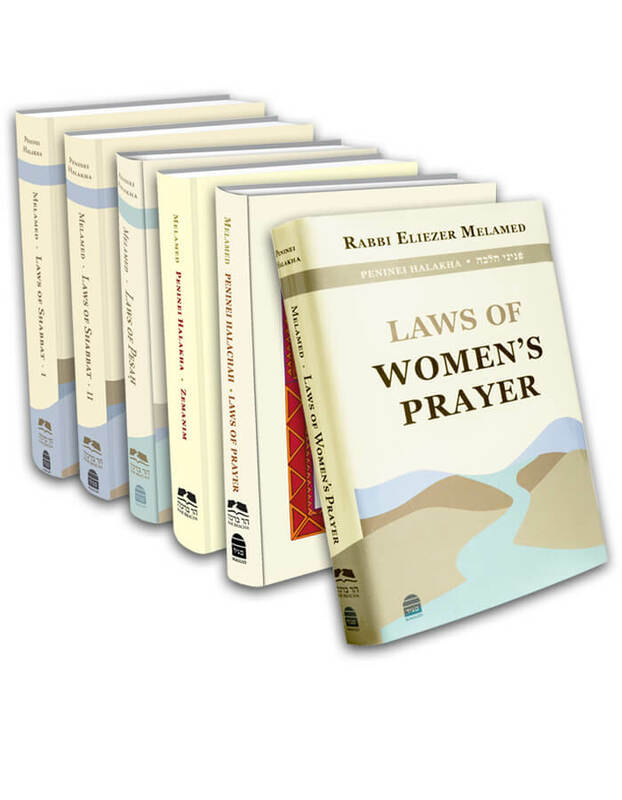 A person may not recite the Amidah prayer too close to his primary rabbi, for if he prays alongside him, he presents himself as his rabbi’s equal. An even greater prohibition exists against praying in front of one’s rabbi, so as not to appear arrogant (yohara). Nor may one pray behind his rabbi, for should the rabbi finish praying before he does, the rabbi will feel uncomfortable when he cannot take three steps backwards. Furthermore, the student may appear as though he is bowing down to his rabbi (Shulchan Aruch 90:24; Mishnah Berurah 74). Who is considered a person’s primary rabbi? The one who teaches him most of his wisdom. The same ruling applies in relation to a prominent Torah leader of the generation. If the student distances himself by four amot (approximately two meters or 6.56 ft), it is permissible. However, if he prays behind his rabbi, he must distance himself four amot and another three steps (approximately 60 cm or 23.62 in), so that even if he were to extend his prayer, his rabbi would be able to take three steps backwards. There are those who say that all these rulings refer to a situation in which the rabbi and his student are praying individually, or in a congregation where the student is the one who chooses to pray next to his rabbi. But if the gabba’im seat the student near his rabbi, or if that is the only vacant seat left in the synagogue, he is allowed to pray there, and there is no question of arrogance on the part of the student. In extenuating circumstances, one may rely on this opinion, but l’chatchilah, a person should try not to establish his seat close to his rabbi.
. His primary rabbi is the person from whom he gained most of his wisdom. The Rambam implies that this means most of his Torah learning. Maharik 169, explains that the person who showed him the path of truth and integrity and taught him how to decide halachic issues is considered his primary rabbi. The Shach, Yoreh De’ah 242:12, based on the Rivash and the Shulchan Aruch, explains that a person can have a number of primary rabbis in different areas of Torah, such as Tanach, Gemara, and Agadah. Similarly, the Aruch HaShulchan 242:19 writes that a person can have a few primary rabbis, one that taught him his comprehensive knowledge, and another, his sharpness, and a third, how to bring matters to a proper halachic conclusion.The responsa of Divrei Malkiel 2:74 clarifies that the entire distinction between a primary rabbi from whom one gained most of his knowledge and a non-primary rabbi only applies when he is not learning from him, but during the time period that a person is learning from a certain rabbi, that teacher has the status of his primary rabbi. According to this, the rosh yeshivah and the ram who teaches him are thought of as his primary rabbis (see the Rama, Yoreh De’ah 242:6). Consequently, the Aruch HaShulchan, Yoreh De’ah 242:29, writes that a primary rabbi who has been appointed the mara d’atra, the local rabbi to teach and to judge, is considered by the people of that place to be the primary rabbi.
. The Rama 90:24 mentions the opinion of the Sefer HaMeorot and Ohel Mo’ed who say that when his permanent seat is near his rabbi, it is permissible. In practice, the Rama writes that it is good to be stringent and not to pray behind one’s rabbi, in order not to cause him grief. However, the custom is to be lenient, as written in the Mishnah Berurah 77. The Bei’ur Halachah cites the Eliyah Rabbah based on the Levush, that in practice it is correct to be stringent. The Beit Yosef writes that the stringent opinion should be taken under consideration with regard to prayer in a congregation (where there are permanent seats) and he therefore does not mention the lenient opinion in the Shulchan Aruch. This is also what the Kaf HaChaim 143 writes.If his rabbi is behind him, the Beit Yosef, Orach Chaim 90:24, writes that one must be stringent even farther away than four amot, since even then this can be expressed as arrogance (yohara) towards his rabbi. The Shulchan Aruch in Orach Chaim does not mention this, but in Yoreh De’ah 242:16, states explicitly that even when his rabbi is behind him, four amot are sufficient. That seems to be the opinion of the Rama as well who refers to Yoreh De’ah. Therefore, in practice, the Shulchan Aruch retracted what he wrote in the Beit Yosef. However, the Kaf HaChaim 144 writes that one should be stringent when he can.Additionally, the ruling regarding one’s father is like the law concerning one’s primary rabbi, as brought by the Mishnah Berurah 73, in the name of the Chayei Adam. However, fathers are usually happy that their children pray next to them. Therefore, anyone who knows that his father wants him to sit next to him is permitted to sit there and fulfills a mitzvah by doing so, for when a father relinquishes his honor, his honor is relinquished. But one may not pray behind his father or in front of him, unless his father explicitly tells him he may pray there.